Any one who’s been on a zip line raise your hand. It’s awesome, right!? And if you haven’t tried it, I highly encourage the experience. You’ll get a view like no other. Pair that unique view with the gorgeous Coeur d’Alene area and you’ve got an experience you’ll never forget. This company offers zip line tours above Beauty Bay (12 miles east of downtown CDA) while maintaining an eco-friendly status. 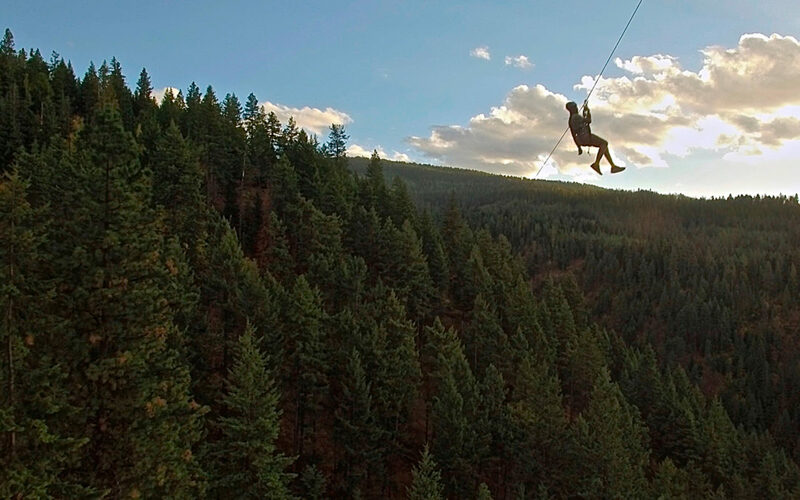 They’ve got 7 zip lines and 3 sky bridges to give you a 2-2.5 hour tour of the treetops and landscape of Northern Idaho. They even hint at an ‘epic surprise’ to finish off your tour. Whether you’re an Idaho native or just visiting, this sounds awesome. For anyone who has already been on the tour, we’d love to see pictures! Please share. For anyone interested in exploring the treetops, hop on over to Timberline Adventure’s website. You can find all the details about pricing, timing and their safety stuff just in case you need reassuring about the heights thing. Looking to buy a Quality Used Boat? Check out our selection!